According to a new report, although improvements have been made, reforms in Oklahoma’s DHS system have failed to adequately protect children. Despite the report’s findings, the state is defending their failure to address several critical issues. We, Rob and Kathleen Raskin of Las Vegas, Nevada, want to know why. If you are also invested in putting an end to corruption and abuse in child protection agencies, please join us in demanding answers. Unlike many other states, Oklahoma’s DHS is subject to regular reviews, so there is a system of checks and balances in place. Unfortunately, these checks are the result of a lawsuit, so they are mandated and were not something the state decided to undertake because it was necessary. Their hand was forced, and now it appears they are doing the bare minimum they can get away with. The report said the agency failed to make “good faith efforts,” but that is putting it mildly. 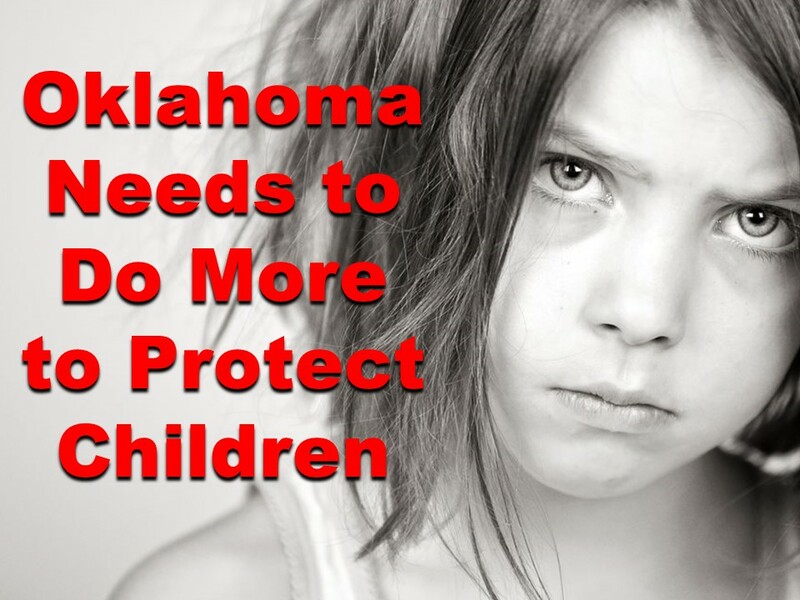 Foster children in Oklahoma have not been removed from foster homes that were proven to be unsafe, sometimes putting them at the mercy of sexual predators, drug addicts, and monsters who assault and batter. Rather than reducing worker caseloads, as was their original goal, they have managed to increase them. Only four of nine areas targeted for improvements actually saw them. In the other five areas, efforts were woefully inept. One area that doesn’t seem to have been addressed at all is how the state agency plans to deal with special needs children who are in the system. Sheree Powell, the Director of Communications for Oklahoma Department of Human Services, said, “We’re very encouraged and excited about the progress and we’re looking forward to the next commentary that we think will be even better.” We say we’ll wait and see what happens in the future, because actions speak louder than words. Learn more about why Oklahoma leads the nation in abuse by foster parents. Oklahoma’s failings have had tragic consequences.